First stop Dubai airport, a huge but our layover was too short to really explore plus arriving in the middle of the night after a 9 hour flight does not do wonders for the mind. Next stop Chennai, another 4 hour flight and we in the hustle and bustle of India. After finally getting through customs we had to wait probably 30 minutes for our bags….I actually hate that part because you always nervous about your belongings getting lost. Next, looking for the people with our names…..this was surprisingly easy to find and then it was off to our home for the next couple of days. First we needed to take the expressway….and let me tell you the traffic in India is insane but the locals would call it organized chaos because the weaving between cars by the motorcycles are actually amazing. The family of four on one motorcycle is real haha thought this was only in the movies. Upon our arrival we got acquainted, meeting some of our new friends for the next few days and visited a mall where I had my first Starbucks…in India of all places and yip we made a video of how not to cross the Indian roads. (apparently you should just walk, the cars will give way… uh cmon I’m from South Africa cars own the roads). This entry was posted in Uncategorized on June 26, 2016 by shaunjengel. 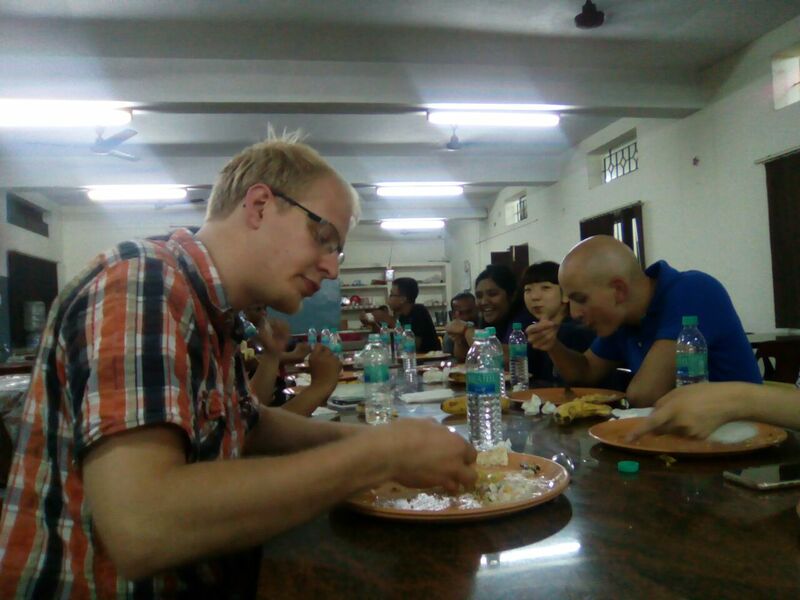 As many of you already know that is me….I invite you all to Come And See India through my eyes…or rather through the pictures I’ll try and post with each blog. 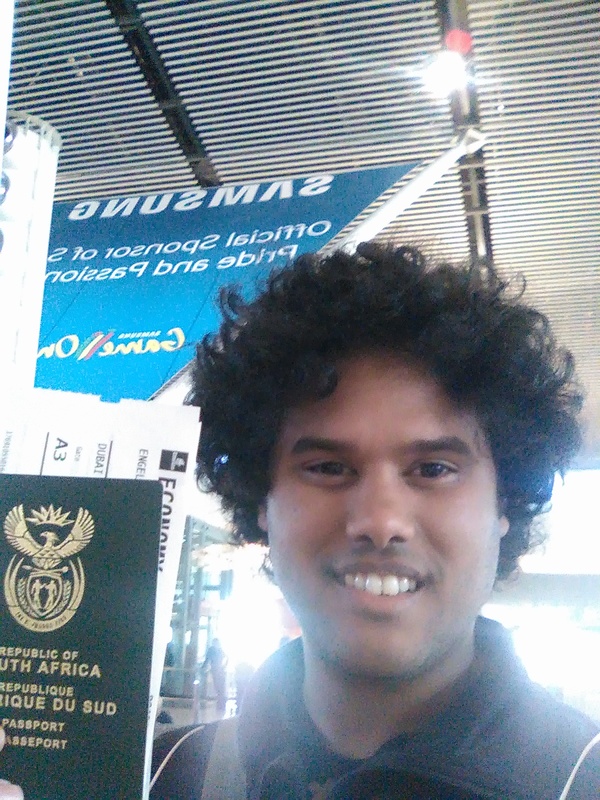 Flight time 13:25 SA local time _ Cape Town to Dubai…..inflight entertainment is a mixture of games hmmm lemme see if I can win a million in Who wants to be a Millionaire, there is no Game of Thrones so I guess I’ll watch Mr Robot – Music?? uh Dubai – in the words of my favorite country music artist Scotty McCreery we’ll See you tonight. 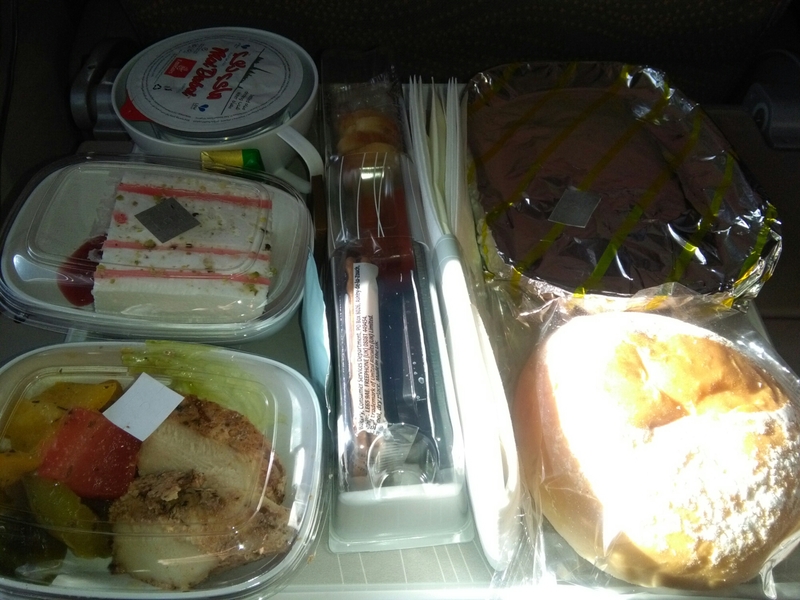 I hope the food is good on this flight, I’m not sure if I’m the only one who can’t eat before a flight think it is a mixture of nerves and excitement I guess…..as I’m writing this the food tray is pushed past (chicken or fish?). 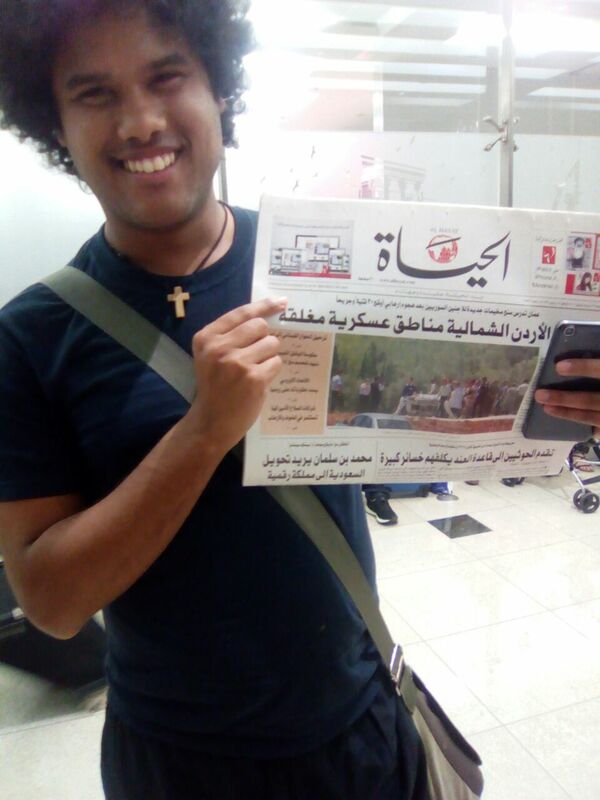 That is me for know….see you in Dubai. This entry was posted in Uncategorized on June 23, 2016 by shaunjengel. 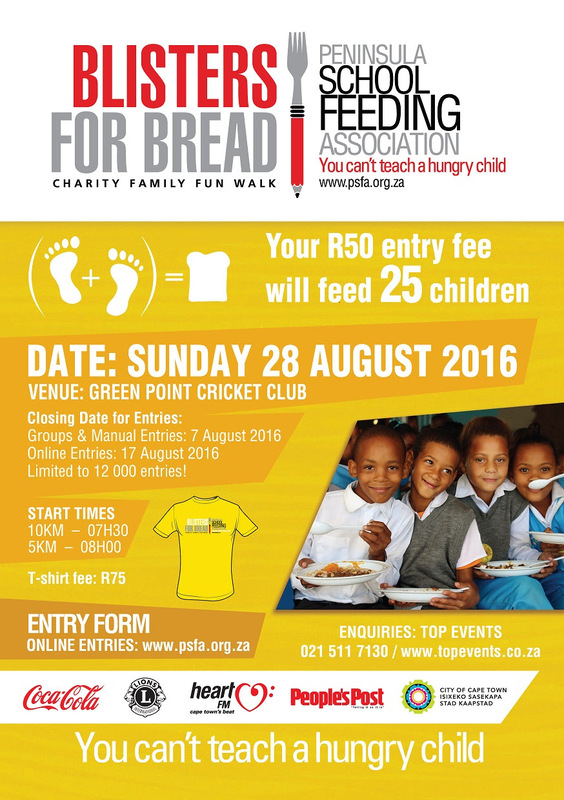 The Peninsula School Feeding Association (PSFA) is pleased to announce that entries are now open for their 48th popular annual fundraising event, the Blisters for Bread Charity Family Fun Walk which will be taking place at the Green Point Cricket Club on Sunday 28th August 2016. This year there will be two routes along the Sea Point Promenade, a 10km walk that starts at 7:30am and a 5km walk that starts at 8am. PSFA calls everyone to join them in their battle against childhood hunger by entering this special family event at the cost of only R50 per person. Each entry fee will enable PSFA to provide 25 underprivileged hungry school children with a nutritious cooked breakfast and lunch for an entire day! Entries are limited to 12 000 people. Entries can be done online or download the entry form at www.psfa.org.za Entry forms can also be collected at PSFA’s offices situated at 47 Trill Road, Observatory, Top Events offices situated at 7 Koeberg Road, Maitland or at selected Pick n Pay and Sportsmans Warehouse branches in the greater Cape Town area. The closing date for groups and manual entries is August 7 and online entries, August 17. If you are unable to walk Blisters for Bread this year, then PSFA encourages both Cape Town locals and the rest of South Africa’s public, businesses and schools to consider making a monetary contribution. This can be done by logging onto their website www.psfa.org.za 100% of all donations made to PSFA go towards school feeding and are tax-deductible. 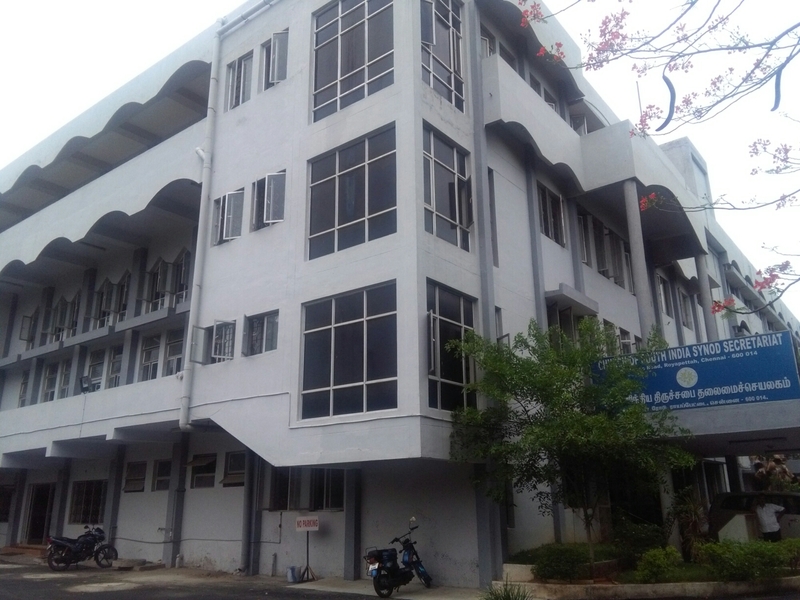 Blisters for Bread, which was started in 1968 by concerned staff and pupils at Savio College in Lansdowne and handed over to PSFA to manage, has grown from strength to strength and has become a highlight on the Cape Town events calendar. Last year, over 11 500 people entered Blisters for Bread and the event raised R579 700, enabling PSFA to provide 1 468 hungry children with meals for a period of one year. “I would like to take this opportunity to thank the many people and organisations that have consistently supported this important event year after year” said Charles Grey, Fundraising Manager at PSFA. “We are truly grateful to everybody for coming together with a common goal in mind, and that is to ensure that hungry children at school will continue to receive daily meals that assist with reducing their short term hunger, increasing their attendance and performance and building their immune systems”. PSFA is a registered non-profit organisation that addresses hunger in young learners attending primary, secondary and special needs schools as well as Orphaned & Vulnerable Children Centres (OVCs), Early Childhood Development Centres (ECDs) and Further Education and Training Centres (FET’s) in the Western Province. Nutritious cooked meals in the form of breakfast and lunch are currently being provided to over 28 000 young people at 155 institutions throughout the Western Cape. PSFA has to date served over 1.5 billion meals to underprivileged school children. This entry was posted in Uncategorized on June 10, 2016 by shaunjengel. This untold story is portrayed with raw emotion through images and interviews from family members, friends and Comrades. 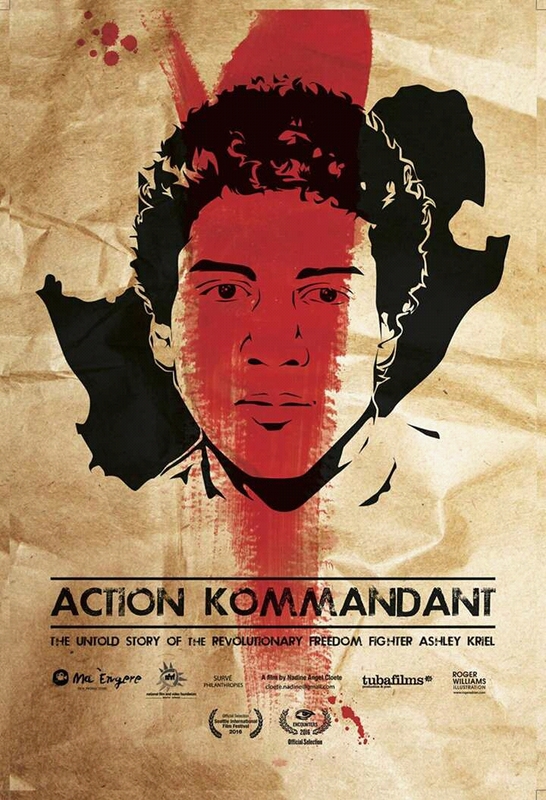 I had the opportunity of attending the opening screening last night and I felt educated on a young struggle hero who mobilised the youth of Bonteheuwel to act in a way that would better their future, through the footage and commentary you’ll learn about a young man who fought for the people, in the way he addressed the people he seemed like a born leader. The documentary opened up old wounds for the family and friends but it could also bring people together and share other Untold Stories and hopefully answer some unanswered questions which need to be shared. I, like I’m sure many others my age or younger can benefit from stories like these giving us hope that we can make a difference or change in our circumstances, we can’t let sleeping dogs lay – die honde moet los gemaak word, ons moet praat en mobilize…if action needs to be taken then we must ACT. 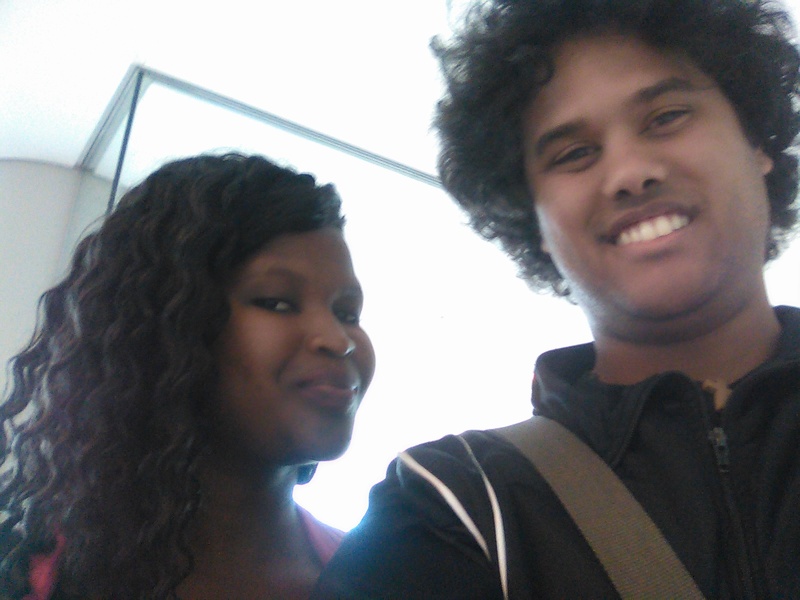 Weldone to Nadine Cloete I know the journey you have been on was not an easy one and Thank you to the family and friends of Ashley Kriel who helped get this out….like what was mentioned in the Question and Answer session, this movie needs to be part of the school curriculum these are our stories, our people…people like you and me who we can relate to, these are our REAL HEROES. This entry was posted in Uncategorized on June 3, 2016 by shaunjengel.